TOKYO – A new tax in Japan will lead to a boost in tax revenues or a drop in GDP and a sharp drop in aviation jobs. Late last week the International Air Transport Association issued a warning that the proposed exit tax on flights from Japan could result in thousands of lost jobs and a significant reduction in the national GDP. 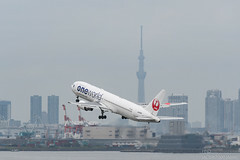 The current proposal for the tax is a charge of JPY 1 000 per person who leaves the country on an international flight. Currently, an approximate 24 million tourists and a further 17 million nationals per year fly out of Japan. If the tax does not reduce the number of flights, then the measure could bring in as much as JPY 41 billion. However, the International Air Transport Association believes that the tax could reduce the number of flights by 7 million passengers. The reduction would subsequently lead to a reduction in the national GDP level by JPY 34 billion, and the loss of 4 800 aviation jobs.